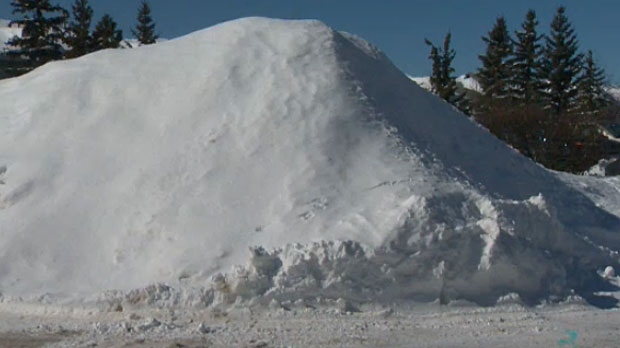 The weather is continuing to warm up in the City of Calgary but after a wintry deluge, many people are concerned about the impact all those giant piles of snow will have on homes and streets. Last month was the third snowiest February on record and the beginning of March saw a huge dump of snow as well. City crews are already out working on clearing storm drains to make sure they can handle all the water coming off the melted snow. 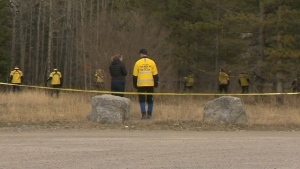 “In some cases we will have frozen catch basins and we will have boilers out there or some flushing trucks that would really get material moving and flowing out there,” says Corey Colbran with the City of Calgary. Colbran says that there are thousands of storm drains all over the city and it’s likely that they won’t be able to get to all of them, so the public is being asked to help out too. It doesn’t take much effort, Colbran says. However, residents should also be aware when a job is too big for them to handle too. For more information on the City of Calgary’s snow and ice clearing plan, visit the city’s website. Giant piles of snow like this may be fun for some in Calgary, but many are concerned about what will happen when all of it starts to melt.